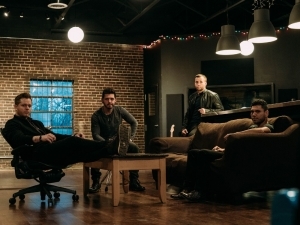 After more than five months of competition that included hundreds of entrants from across the country, Radio Romance has been named the Nash Next 2017 champion. In May, Cumulus Media and Big Machine Label Group invited aspiring country artists and bands to participate in Nash Next 2017, a grassroots talent search and artist development program for country music. Sponsored nationally by Country Inns & Suites by Carlson, Radio Romance will receive a recording contract with Nash Next Records under the Big Machine Label Group and garner substantial exposure, commensurate with a major-label release, on Cumulus radio stations nationwide. Get to know a little more about Radio Romance below—you’ll be hearing them on country radio very soon.